GLMS held a General Meeting (GM) on Thursday 8th of June on the occasion of the EL Congress in Krakow, Poland. Among the important topics of discussion addressed, a key decision was the renewal of the Executive Committee (ExCo) of GLMS. Four elected positions were voted in the GM and resulted in the following assumption of duties:-	Ludovico CALVI (Lottomatica - Italy) -	Younès EL MECHRAFI (MDJS - Morocco) -	Sami KAUHANEN (Veikkaus - Finland) -	How Sheng LEE (Singapore Pools - Singapore)In his opening address, Chin Siong SEAH announced his decision to retire after his two years of term. The vacant position he left has been replaced by WLA with the nomination of Mr. Rupert BOLINGBROKE (HKJC - Hong-Kong).Edmundo DUPRE (PchB - Chile) and Thierry PUJOL (FDJ - France) remain in the ExCo designated respectively by WLA and EL. Enclosed is a picture featuring seven members of the renewed Executive Committee of GLMS. An eighth member shall be designated in the coming weeks by EL.Mr. 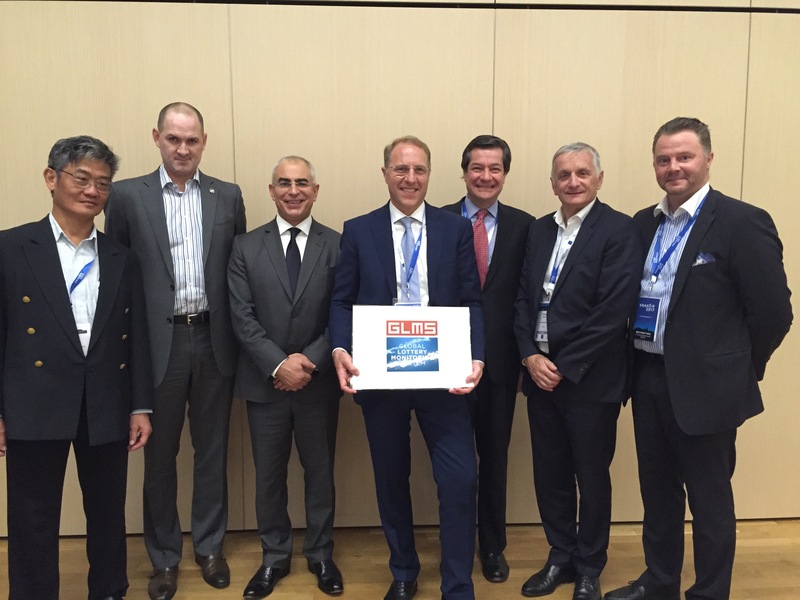 Ludovico CALVI has been designated Chair and acts now as the new President of GLMS Association. He stated:"I would like to thank the GLMS membership for having entrusted me with this role – a role that you can feel assured, I will take on with great personal commitment in the next years. I owe also gratitude to the former President, Chin Siong, for his strategic guidance to the development of the GLMS and the EL and WLA Presidents for their on-going precious support. I will take the challenge to continue this valuable work and build upon this legacy to make GLMS a highly effective and relevant association that all its Members and Partners". This process shall include operational consolidation, an increase in the membership of the association, strong and solid communications, developing education and pre-vention tools and supporting States in implementing provisions of the CoE Convention, especially with regards to the sharing of information and setting up of national platforms."